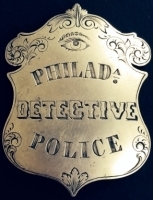 Charleston, S. C. 1st issue Police badge, circa 1861. 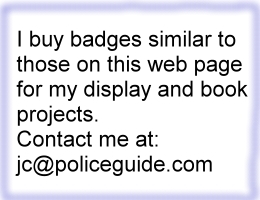 CDV Image of Charleston South Carolina police officer wearing 1st issue badge. Photographer is Quimby Charleston. 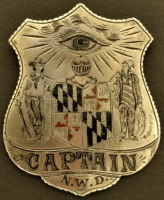 Bennettsville, SC police badge, circa 1900. Columbia SC police badge, circa 1870.